What is the first thing you do or say after receiving a gift? Do you say thank you? 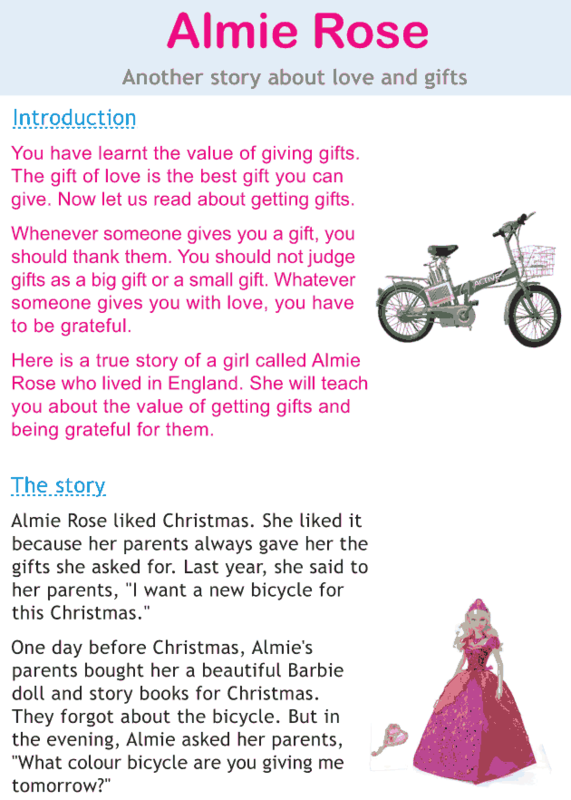 Let’s read a true story of a girl, Almie Rose who will teach you about the value of getting gifts.